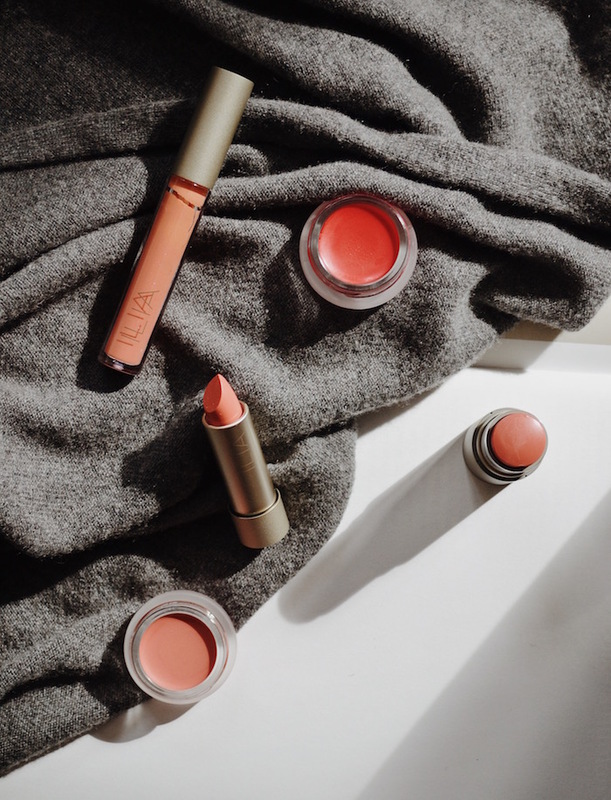 To get a little more inspired, we turned to our resident makeup artist Emily Wouters who shared her take on the colour in beauty: “Coral shades in makeup have long been favoured as they are flattering and easy to wear without taking you too far out of your comfort zone” she said. “Whether it’s a coral lip or a coral eye (or even both), the ways in which you can incorporate Living Coral into your makeup looks are endless.” So, just how can you perk up your daily look with a punchy hit of coral? First thing’s first: cheeks. If a flush of springtime is your thing, coral is a great starting point and helps emphasise a radiant complexion. Although you might imagine coral cheeks pairing best with tanned skin, the reality is this is a shade that can work for every skin tone. 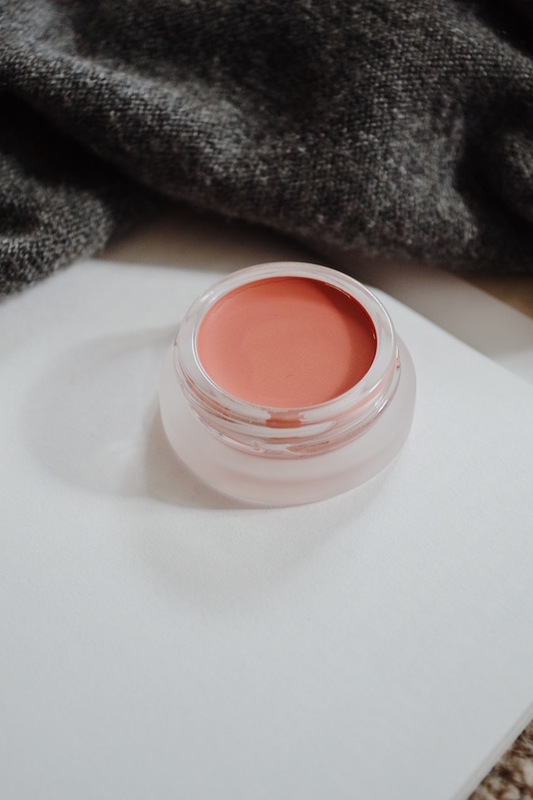 RMS Beauty’s creamy, multi-use Lip2Cheeks are particularly good for this kind of look: “Something like Lip2Cheek in Smile is the perfect light coral that is adaptable to all skin tones” explains Emily. If you’re after a slightly richer coral, Paradise is universally flattering when dabbled onto cheekbones. 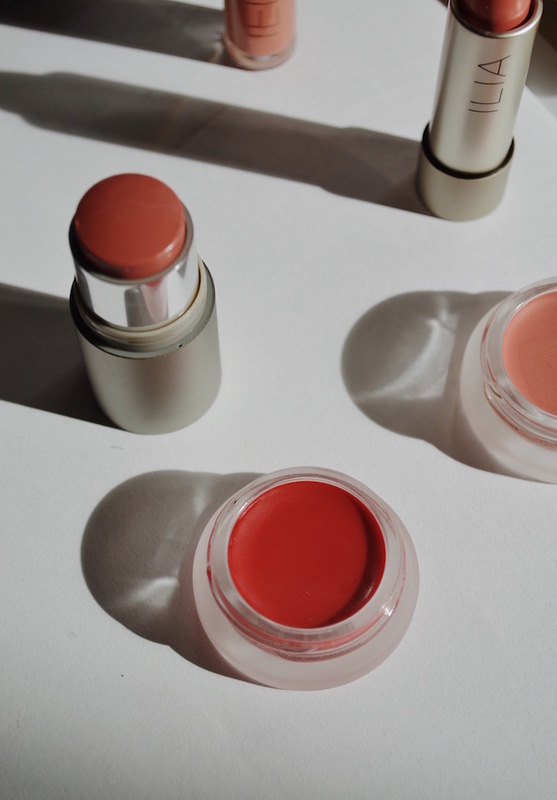 The beauty of RMS’ formulas is that one product is designed to do two jobs - opt for a matching lip to cheek look to fully embrace Living Coral. If you’re after a more traditional coral lipstick, the RMS Wild With Desire lipstick in Flight of Fancy will give you a matte, pigment-y finish in a pink-coral. 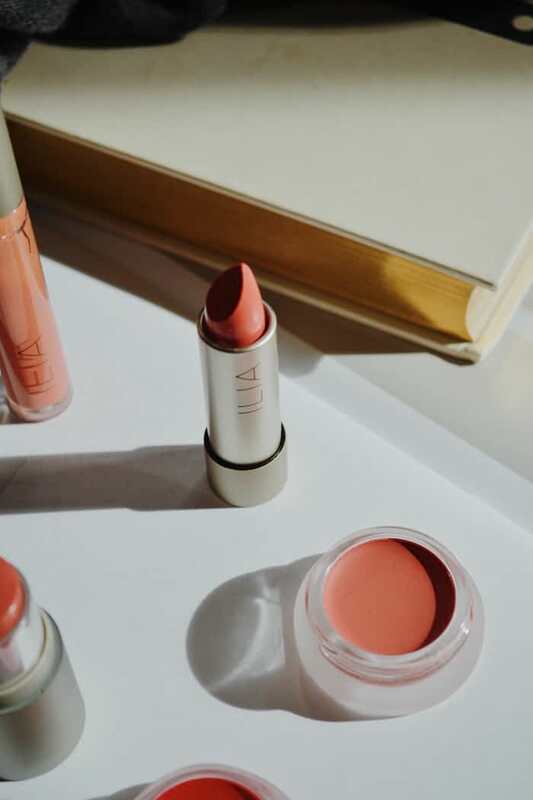 For something bolder and more orange-based, Ilia’s nourishing Tinted Lip Conditioner in Dizzy packs a particular punch on darker skin. 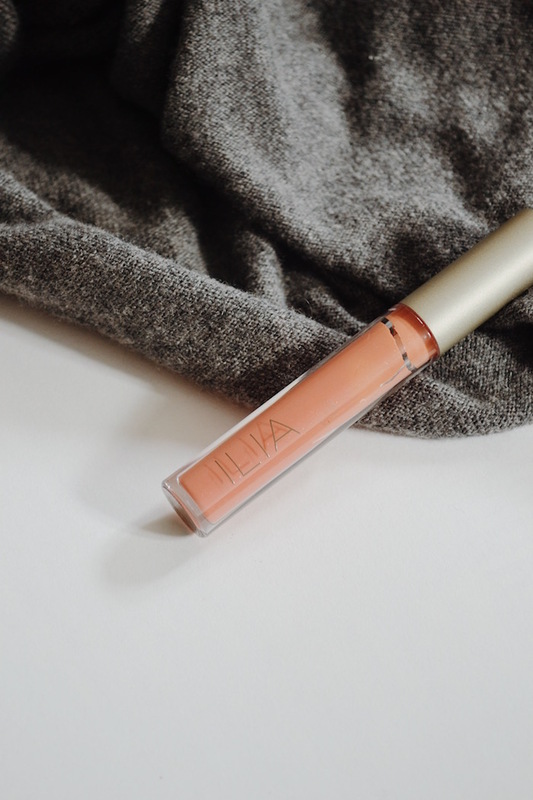 Go for a high shine pout with Ilia’s peachy Lip Gloss in The Butterfly & I Not feeling fully committed to all things coral? “Why not embrace the fact that Spring is, slowly, creeping in and go for a coral nail polish for your next mani - Kure Bazaar’s 10-free polish in Coquette will give you exactly that.” says Emily. We’re particular fans of taking this shade and swiping it across our lids - a look that’s been seen everywhere from fashion week to our Instagram feeds. More sheer products work best for this look - try Ilia’s creamy multi-stick in I Put a Spell on You, a peachy coral that will give a glossy wash of colour. This is a confident step away from ‘traditional’ eye colours that instantly feels fresh and modern - exactly the kind of self-assurance the colour coral embodies anyway. ​We are hosting a three-part workshop series with professional makeup artist and natural and organic beauty expert, Khandiz Joni. Set across three evenings, the workshops will get you inspired, knowledgable and confident in mastering your makeup routine using gentler products that are kind to the skin. Find out more. In the first of our new series, Your Questions: Answered, we pick the brains of holistic makeup artist and beauty pro Sjaniel Turrell on the much debated topic of brows. From the products to use to the shapes that suit us best, Sjaniel answers all your brow-related questions and more. ​We’re constantly on the hunt for ways to get the best results out of our skincare without putting unnecessary extra strain on the environment. Enter our latest beauty prediction: waterless cosmetics. Ecologically beneficial and extra potent for high-performance skincare, we find out everything we need to know about going water-free. ​Need some top tips on how to get ready before the big count down this New Year? We have you covered. Find out how we prep for a night out, Glasshouse style. Working with our East London neighbours Bug Clothing, we are launching a collection of handmade hair accessories, including Scrunchies, Hair Ribbons and Head Wraps made from leftover fabrics. ​With the help of our Senior Stylist Ashleigh, we’ve put together a guide on toners to help you understand the basics of the service; what they do, why they are used and how they can help you achieve your perfect colour. ​On Monday 19th November we are hosting a Q&A and skincare session with Evolve beauty founder Laura Rudoe and Glasshouse founder Olivia Crighton, covering everything from ingredient sourcing to sustainability and the story behind the independent British brand, plus the chance to try out some of our favourite products from the range. ​Defined yet wearable with a touch of boyish charm, the latest eyebrow trend makes the most of the brows you’ve got. Here are our top tips on giving your natural brows some extra character to make just enough of a statement. Verified Organic, suitable for pregnancy and ideal for those with sensitive skin, we explore the new Flower of The Five Wounds range from Guy Morgan Apothecary with imagery from photographer Thea Lovstad. To kickstart our new Rituals series on Glasshouse Journal, we speak to freelance Journalist Elizabeth Bennet to find out what a balanced lifestyle means to her and what how she stays motivated, energised and calm in modern life. Celebrating the diversity and freedom of colour on different skin tones, Glasshouse’s resident makeup artist Emily and photography duo Al and K collaborate for a shoot that bends the rules of colour theory. As more and more topics are placed under the sustainability spotlight, we have turned our attention to an interesting one: periods. As menstrual products start to modernise and with attitudes towards our monthly cycle becoming more open, we are delving into the subject and taking a look at some of the consciously-created menstrual products that we’ve introduced in the salon and online. As the curtain falls on the Spring/Summer 2019 catwalks, we have gathered together some of our favourite hair and beauty looks from all four cities. Jasmine Deporta has been a favourite photographer of ours since her series Sofa Safari, where she matched her models outfits with the furniture they were sitting on. Now she’s back with the release of her first ever book, 11 - a personal journey through her last 4 years of work. We caught up with her to find out more.